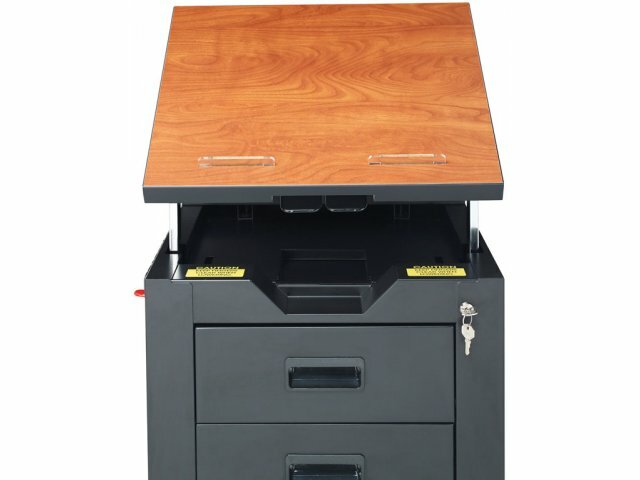 Educate in style with the Nate Teacher’s Podium. 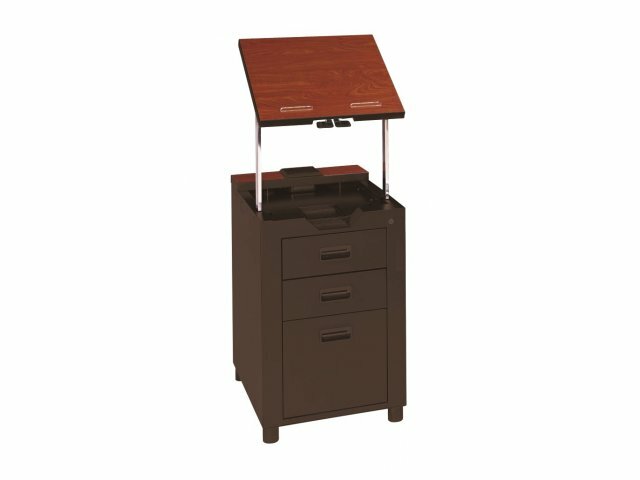 This modern lectern is an educator’s dream, with convenient features that support lessons in all the best ways. The high-pressure laminate work surface is height and angle-adjustable, to provide a comfortable fit. 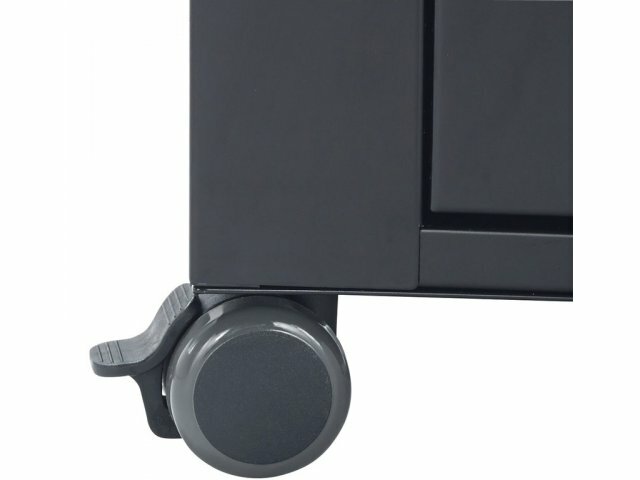 Braking casters facilitate smooth mobility, allowing teachers to deliver material from any space, and any angle. 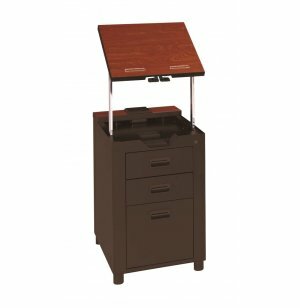 With built in storage, this podium helps you keep handouts and assignments organized. 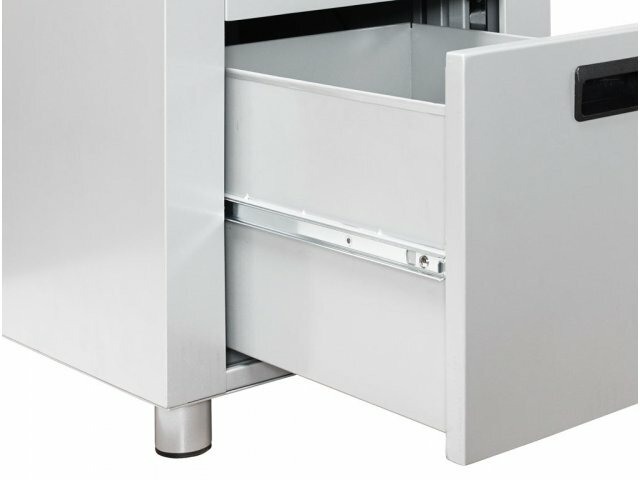 Locking drawers keep everything secure, so you don’t have to worry about supplies or exams going missing. When it comes to supporting teachers so they can give their best to our students, this lectern has it all. HPL Advantage: High-pressure laminate surface is far more durable than standard laminate desktops. Versatile Fit: Both the angle and the height can be adjusted for any person in any type of lesson. 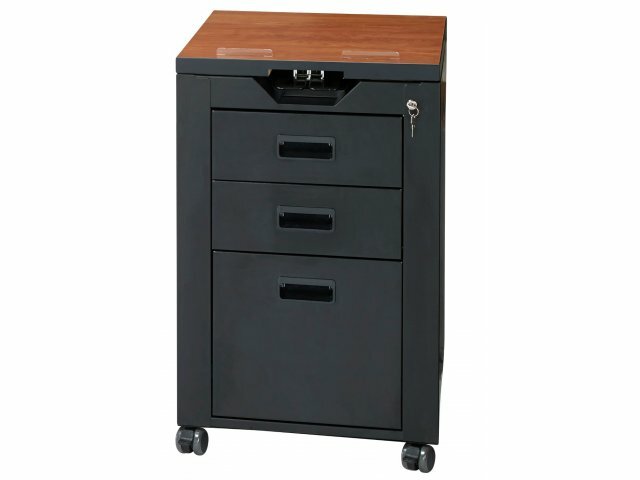 Surface measures 17"W x 18.5"D.
Secure Storage: Locking drawers provide a secure place for documents and supplies. Extremely Flexible: Braking casters allow you to easily glide around the classroom. Attractive Colors: Available in a choice of beautiful finishes that will complement your classroom décor.